Before I jump into the details, let me just say this, Wieliczka Salt Mine is one of the most underrated attractions in Europe. A little skeptical? Let me convince you that this little Polish town NEEDS to be on your itinerary. Here’s something you probably don’t know about Wieliczka, it used to be one of the biggest producer of salt in Europe. The mine has been in constant use for over 700 years, although production has been scaled down considerably of late, and its owners stopped mining salt commercially in 1996. If you’re still not entirely convinced that a salt mine is for you, let me tell you what converted me. I travelled to Wieliczka with absolutely no expectations. It was a drizzly day in Krakow, and I thought that diving under the earth’s surface would be a welcome respite from the rain if nothing else. The subsequent three hours completely changed my perception about mines and ended up being the highlight of my trip to Poland. I learnt that the interior of the mine had been fashioned out of rock salt by miners since the 13th century. That’s some seriously impressive stuff. If you stuck me down a salt mine the last thing on my mind would be to knuckle down and produce UNESCO-worthy carvings and cathedrals! Just let this sink in for a second. Normal miners – men with no absolutely no formal artistic training – made all of this from salt. The very stuff you sprinkle on your food. Including a full-sized and functioning cathedral. People even get married down there. Cavernous chambers chiselled straight out of rock salt, saline lakes and exquisitely detailed statues hewed from the salt. Even the crystals of the chandeliers are wrought out of salt! Who thought salt could be so fun? 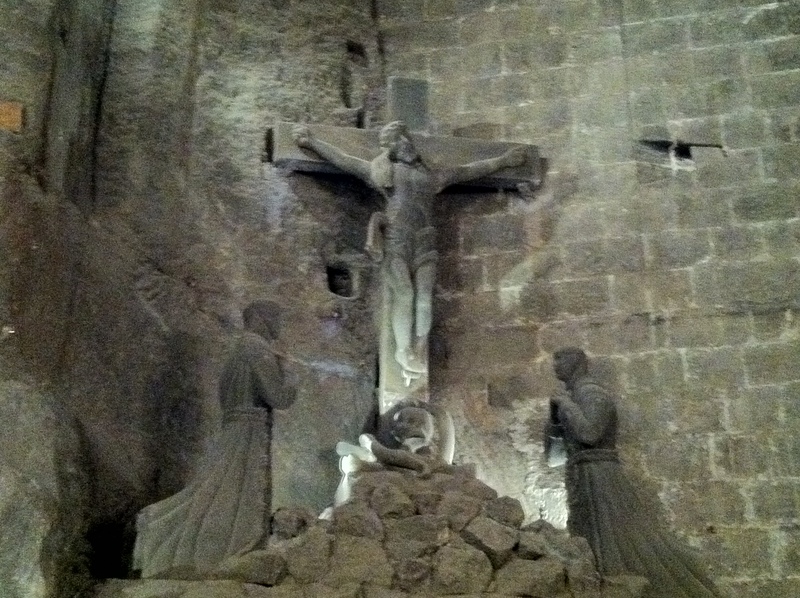 The highlight of the tour for me came about an hour in, when we stumbled, spellbound and gobsmacked, into an opulent cathedral, known as Poland’s Salt Cathedral, or the chapel of Saint Kinga, located nearly 1,073ft under the earth. It felt like I’d unwittingly entered the Mines of Moria (minus a showdown between Gandalf and a balrog) – sorry for the geeky reference! I didn’t manage to take a picture which fully captured the magic of this room, so I’ll have to leave it up to you guys to experience it for yourselves. Another memorable moment was listening to a tranquil Chopin melody while checking out a dancing light show over one of the picturesque brine lakes. Nearing the end of my journey I (and my aching muscles) was overjoyed to discover that there was a lift to take me back up to the surface. Going up in the elevator- a huge old miner’s lift which takes nearly a minute to reach the surface, is something of an experience in itself. They don’t half cram you in though! My only complaint is that the tour guides do steer you into a series of gift shop stocked with expensive and tacky gifts for extended periods of time. This was okay the first time, but got a bit irritating by the third stop. The mine doesn’t feel like how you’d imagine a mine to feel. 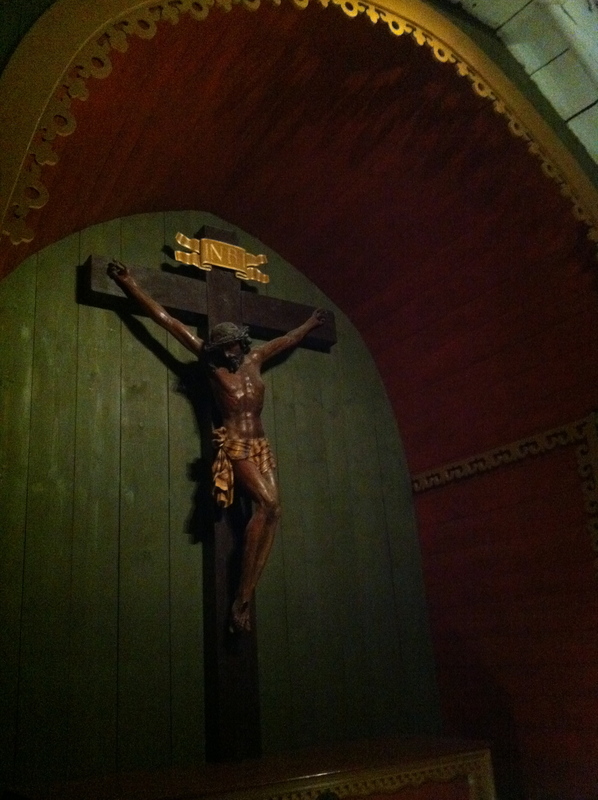 It’s well lit, warm and the tunnels are spacious and made from wood (unlike metal, wood doesn’t rust). The walls are bright, the salt sparkling in the light. Make sure you take a drink – if you end up putting your hands in your mouth you’ll end up rather dehydrated! My tour guide was great; informative, friendly and funny without being cheesy or annoying. He didn’t rush us around, pointed out really riveting facts and gave us plenty of time to get pictures. I couldn’t have rated him more highly. He told our group all about the formidable skill and hard work of the who’ve toiled in the mine’s chasms over the centuries, showed us where the pit ponies were kept and weaved a captivating history of the mine for our enjoyment. A guided tour in English with a student discount costs just 60 zloty (£11 GBP). The staff will ask you to pay an additional 10 zloty in order to use your camera or film anything on the tour. Most people didn’t pay and just took pictures anyway. No one was checking to see if they had bought permission, but do this at your own risk. Personally I think that it’s a little cheeky to ask for an extra payment on top for the ‘privilege’ of being able to take pictures, but the staff must know that tourists will stump up to pay to photograph something so outrageously beautiful. English tour groups depart every 30 minutes from 8.30am until 6pm. Other language tours leave less frequently, so make sure to check out departure times before you set off to avoid being disappointed. Tours take a good three hours. If you struggle with mobility or claustrophobia, it might not be a great attraction to visit as you need to descend 800 steps and some fairly slippery surfaces over a 3km walk, which might be tricky for the less able-bodied. Comfy shoes are a must. 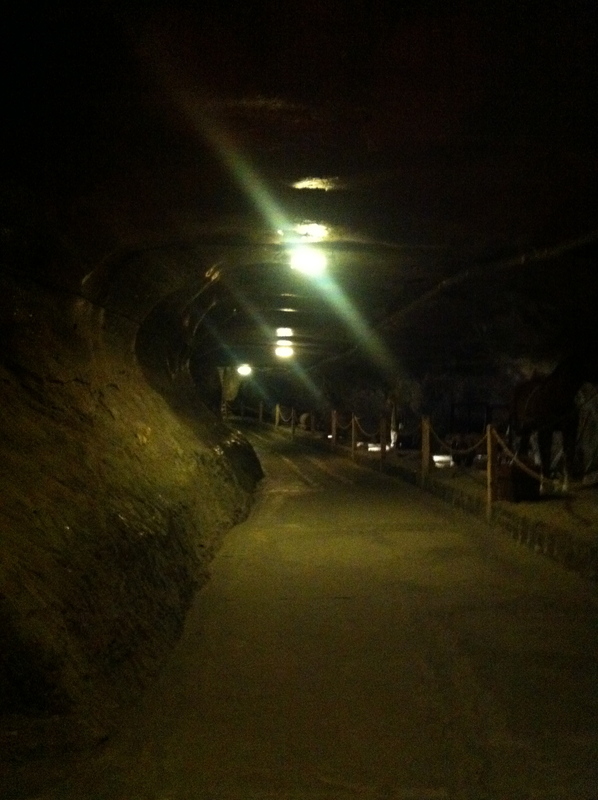 Amazingly, the walk covers just 2 percent of the entire mine! Further details can be found on the mine’s site here. Don’t take the tourist bus. It’s expensive and totally unnecessary. Catch the local bus: Number 304- it’s cheap and regular, just make sure you have change for a ticket. Get on at Galeria Krakowska (opposite the huge shopping mall next to the train station) and jump off at Wieliczka Kopalnia Soli. The buses show which stop is coming up on a screen, it really is as easy as pie. If for some reason you find that difficult there’s an enormous sign for the salt mine – you really cannot miss it. 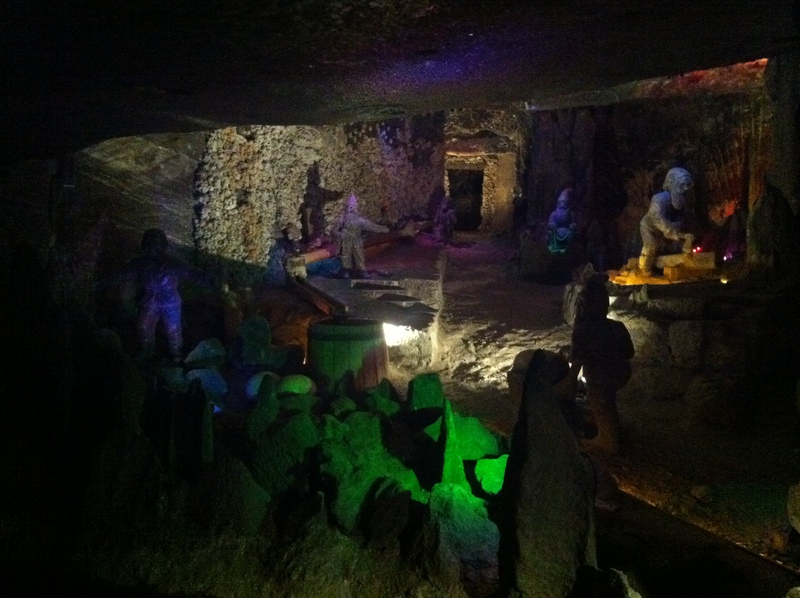 The mine is about a 20 minute ride from the centre of Krakow. It can easily be done as part of a day trip. TIP: If you’re a student make sure you show your student ID at the desk for a hefty discount on admission price. 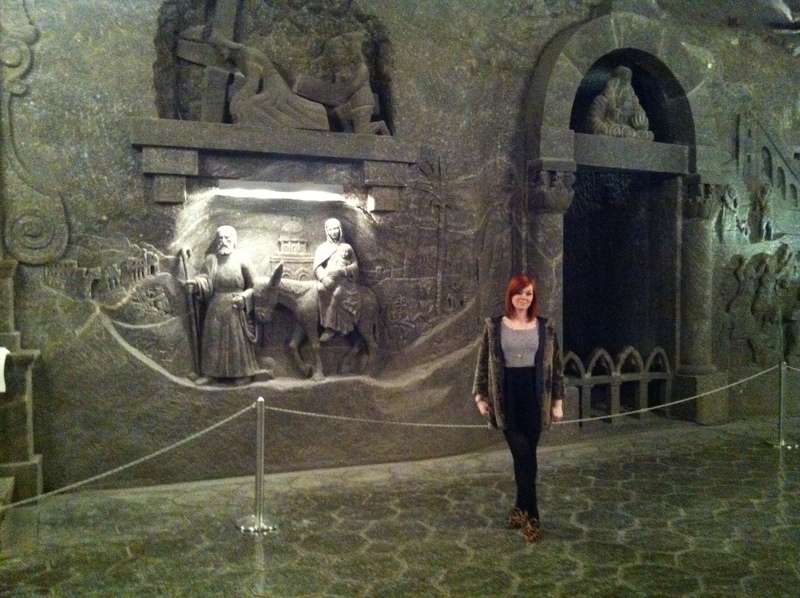 Bottom line is, if you’re in Krakow, you really cannot afford to miss a trip to Wieliczka! 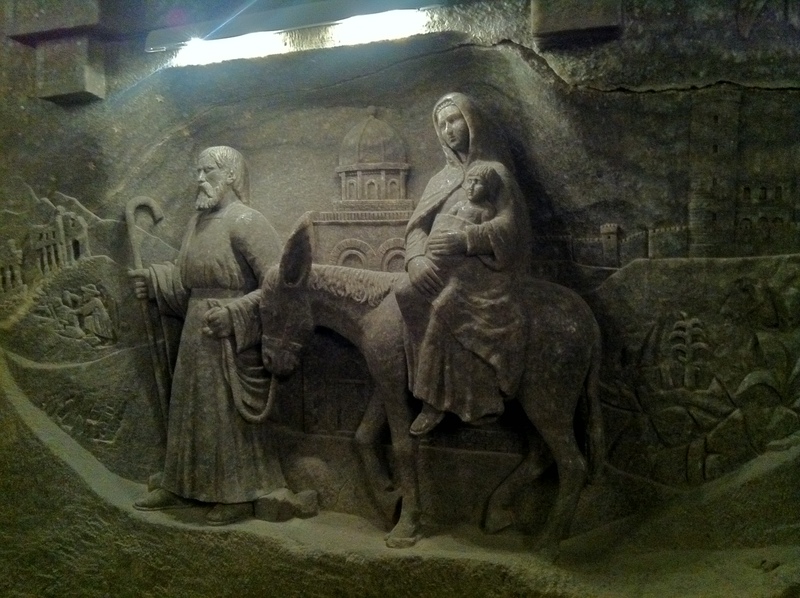 Have you been to Wieliczka Salt Mines before? Did they blow you away? Tags: Europe, Krakow, Poland, Wieliczka salt mine. Bookmark the permalink. Previous post ← Graffiti in Granada – and why you’ll love it.